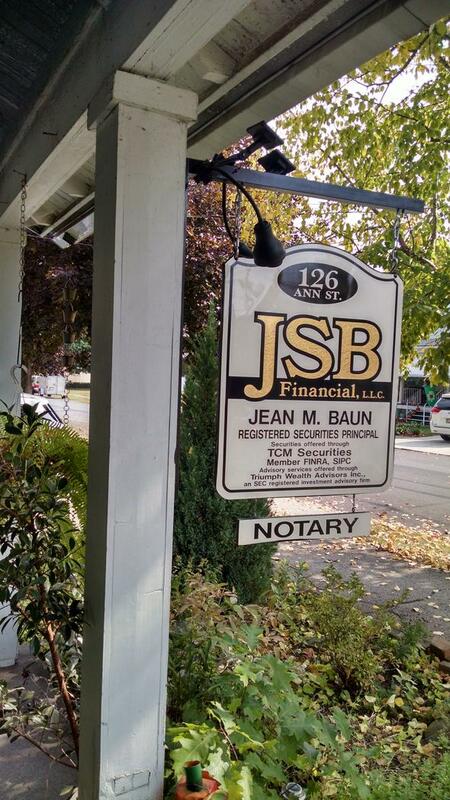 JSB Financial, LLC is a full-service financial consulting firm dedicated to building and protecting the wealth of our clients, one client at a time. Our firm is an independent contractor offering securities through TCM Securities and Investment Advisory services through Triumph Wealth Advisors. Your Advisor will break down all the financial jargon and use the simple tools of math and logic to help you coordinate your money with your goals and concerns. Independence enables our firm to seek out top level brokerage, advisory and insurance products to build customized financial portfolios that help our clients to achieve their individual goals and dreams. Combine top tier solutions with knowledgeable a professional and you'll see why our clients recommend us to their friends and family.